The proof for the paperback version of my novel is finally here! This entry was posted on September 2, 2011 by H.E. ELLIS. 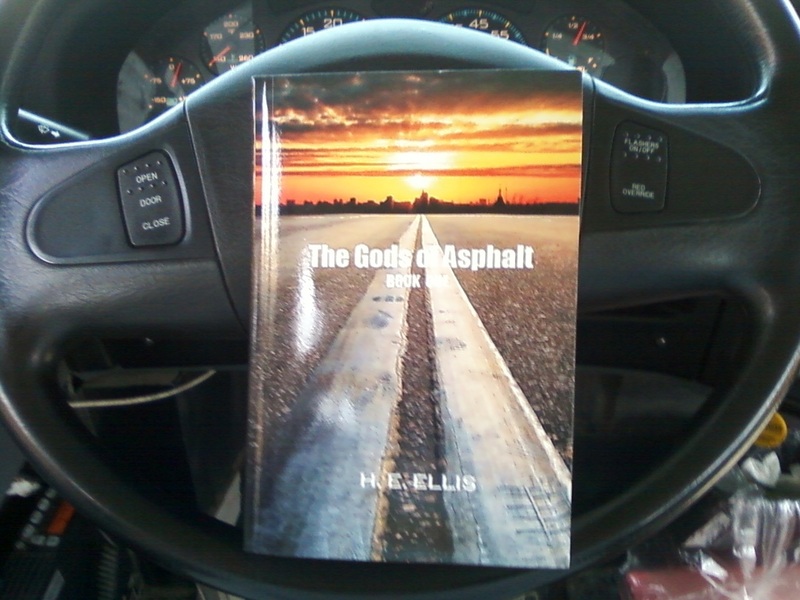 It was filed under Books, The Gods of Asphalt and was tagged with Books, novel, writing, young adult. I have to tell you . . . so, in a rare free moment during this, the Convalescing Times, I snuck out of the Room to hop online and check out blogs, which ended here, reading a bit of the Gods of the Asphault preview . . . which actually then took me to Amazon to read *more* of it there, and I’m just . . . gah. Without words for what the first chapter did to me and hoping against hope that, once I get through the whole thing (once I buy it — come on pay day!) I’ll be able to articulate that experience enough to be able to sound intelligent. For now, though? Just, wow. You’re awesome, I’m just saying. Can’t argue with that. (hee!) Somehow, in all thing, I forgot to say, YAY print copy!! This book (the ebook version, obivously) is currently my dangling carrot. This week is for inputting changes after having gotten through my print copy, rearranging the order of things, fixing the flipping page numbers, and getting the cover done (which is what partners are for). Come Saturday, I have a date with kindle for PC and your book. Very much looking forward to it.